For most unprofessional users, it would be a challenging thing to buy a Huawei WiFi router with Ethernet port. 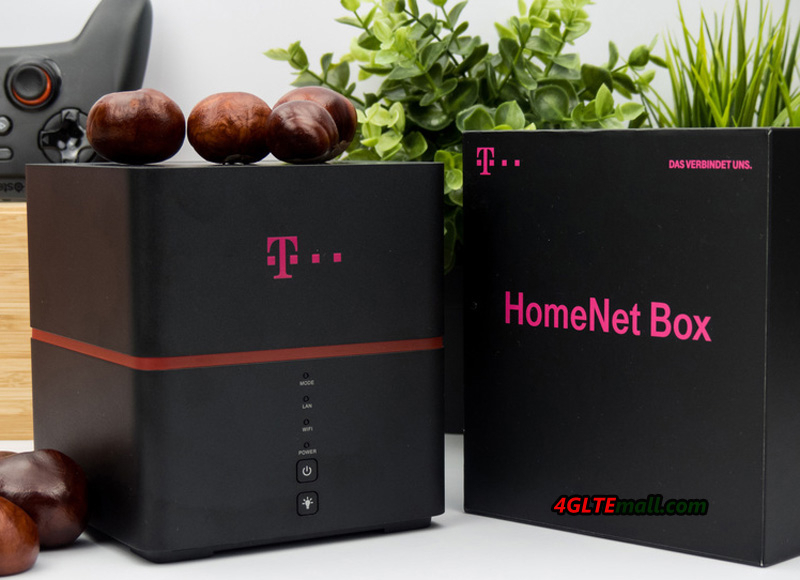 Especially, there are many Huawei LTE Routers available in the market, which would make the selection harder. 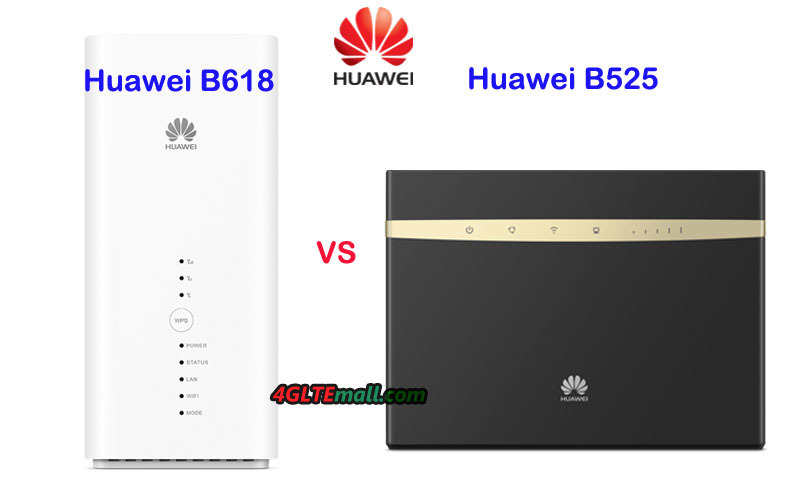 Huawei B525 and Huawei B618 are two latest LTE advanced routers, somebody may be interested in the two routers. 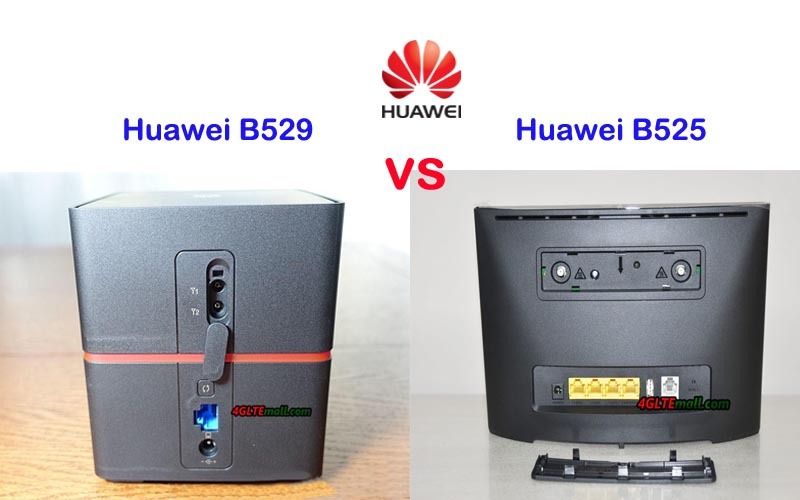 If you don’t know what’s the difference between the Huawei B618 and B525 router. In this article, you will find the answer. 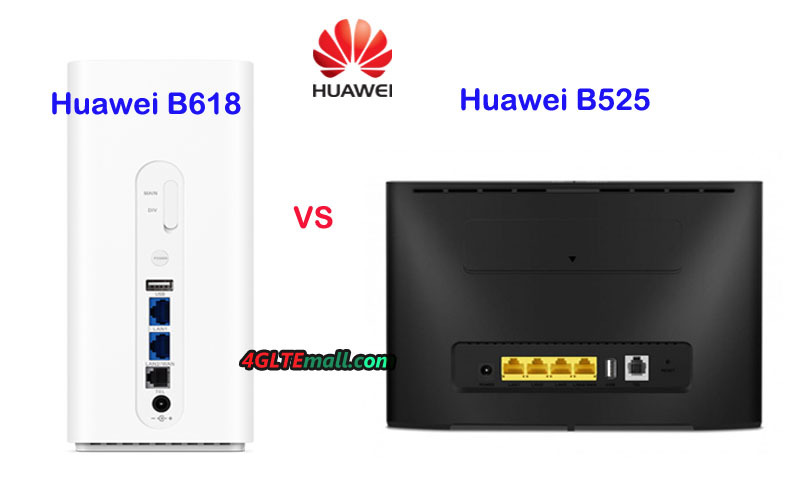 And if you want to buy Huawei B525 router or Huawei B618 router, you may get some reference. 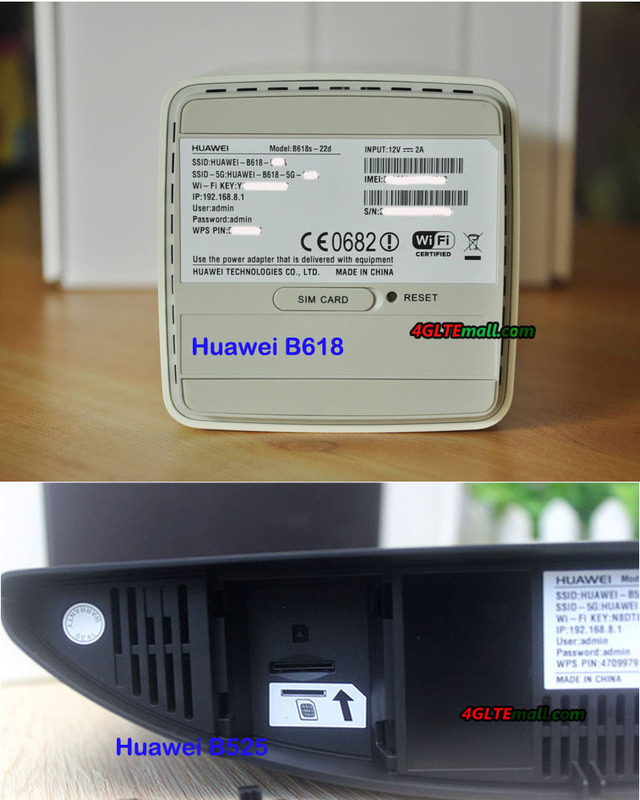 Huawei B525 WiFi router was available earlier than B618 LTE CPE, and it’s technically similar to its predecessor Huawei E5186 WiFi router. 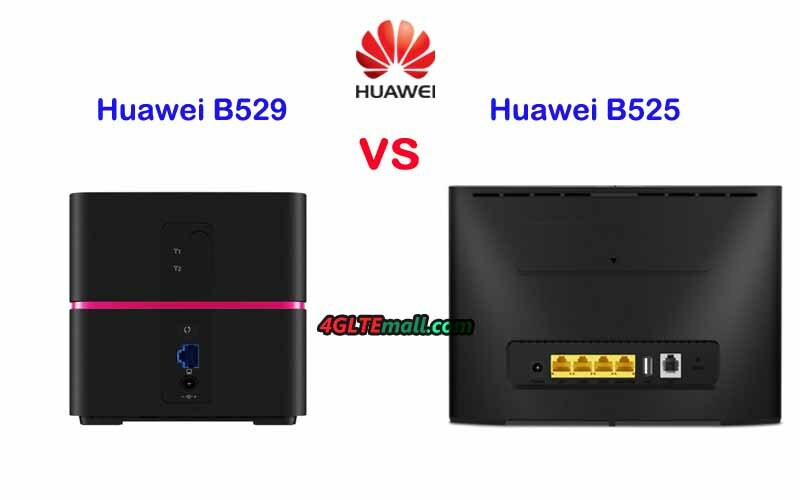 The shape of Huawei B525 is in the shape of a traditional stationary wireless router, which could stand on the desktop, on the front, there are some LED indicators and there are 4 LAN ports on the back for an Ethernet connection to PC or other terminals. 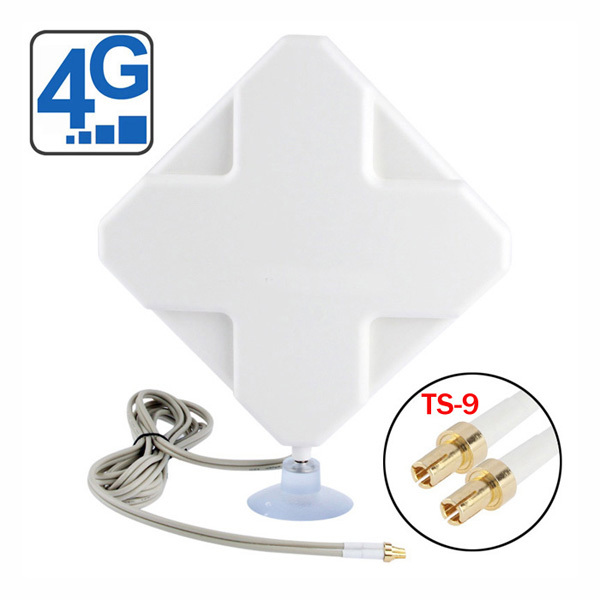 Two connectors are available on the top back of the router for connecting external 4G/LTE antennas. One RJ11 port for phone and one USB 2.0 port for data sharing are available. 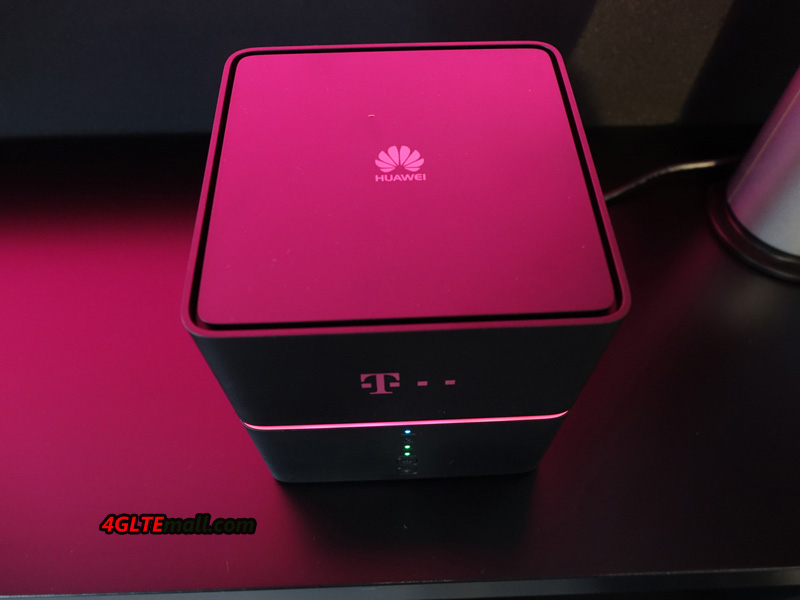 The Huawei 4G Router B618 is not like the common router, it’s in a shape of the cube. However, the LED indicators and the Ethernet ports are still available but with different quantity. Huawei B618 Router has two LAN ports(One for LAN & WAN). The RJ11 port for telephone and USB 2.0 port are still available. 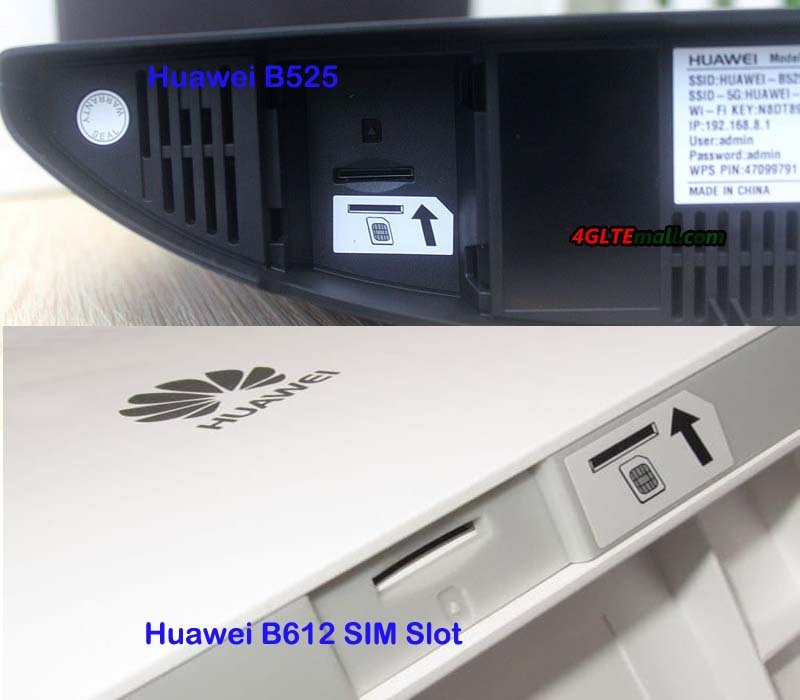 The difference is that the Huawei B525 has two antenna connectors in the type of SMA while B618 LTE CPE has two TS-9 connectors, which is usually available for a Huawei LTE USB modem. 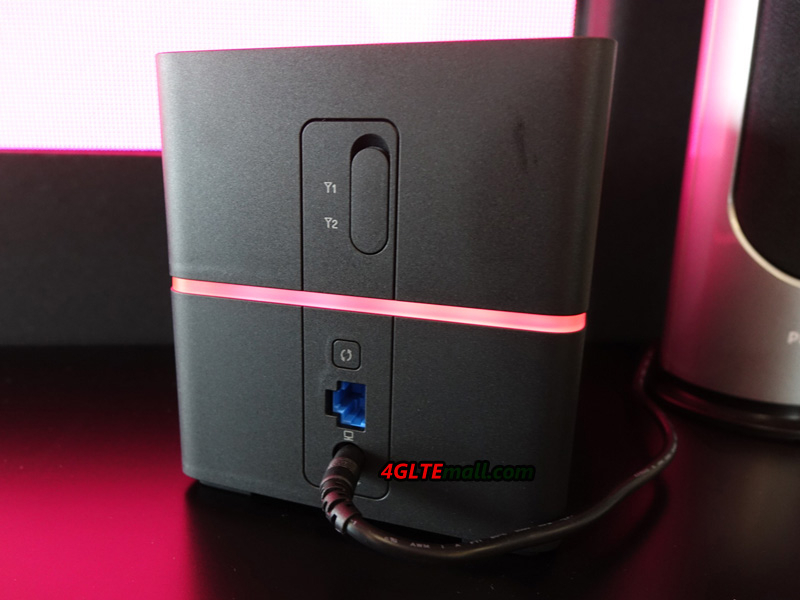 What’s more, the two routers both use Micro SIM card and the SIM card slots are located at the bottom of the two routers. 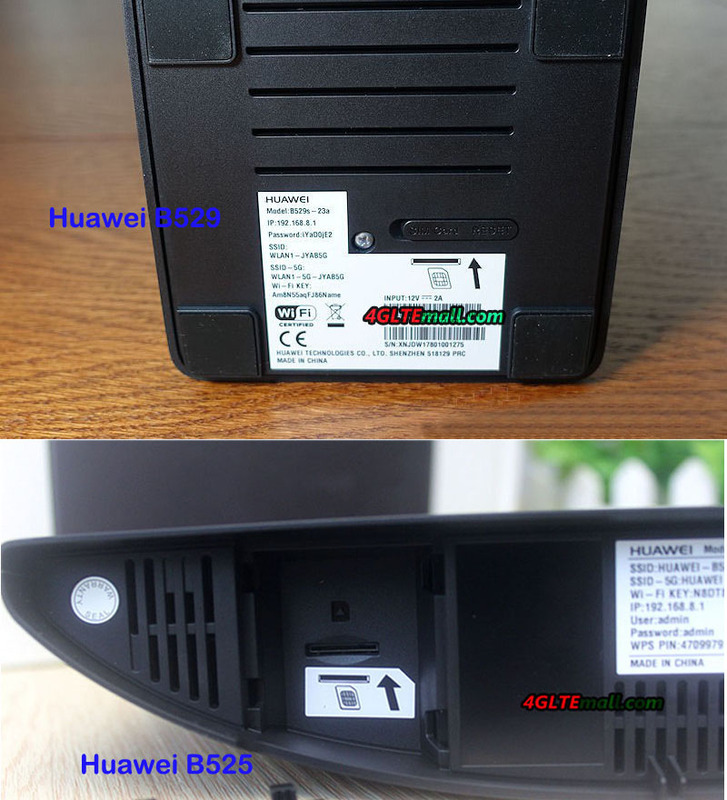 From the specs, we can see the Huawei B618 4G Router is more advanced for high-level LTE network. With more advanced technologies, Huawei B618 could support faster download speed and upload speed, which is almost double of that of Huawei B525. The Huawei B525 has more Ethernet port for connection. 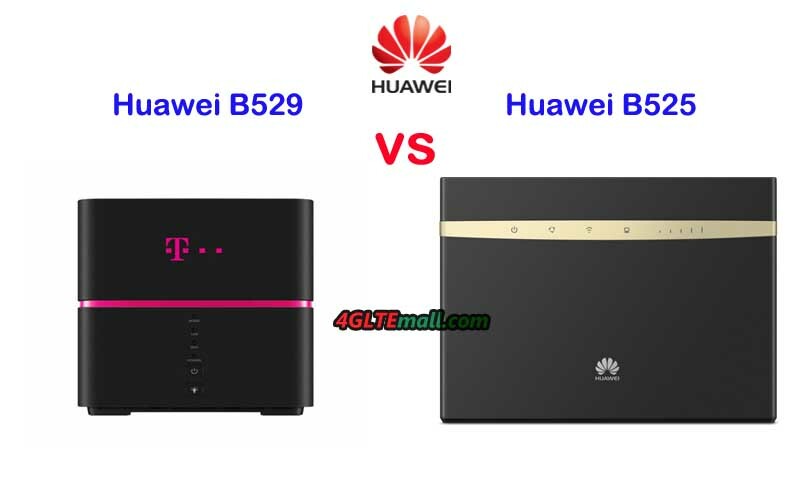 But the Huawei B618 and B525 both could support maximum up to 64 wireless users, which would be enough for most cases. 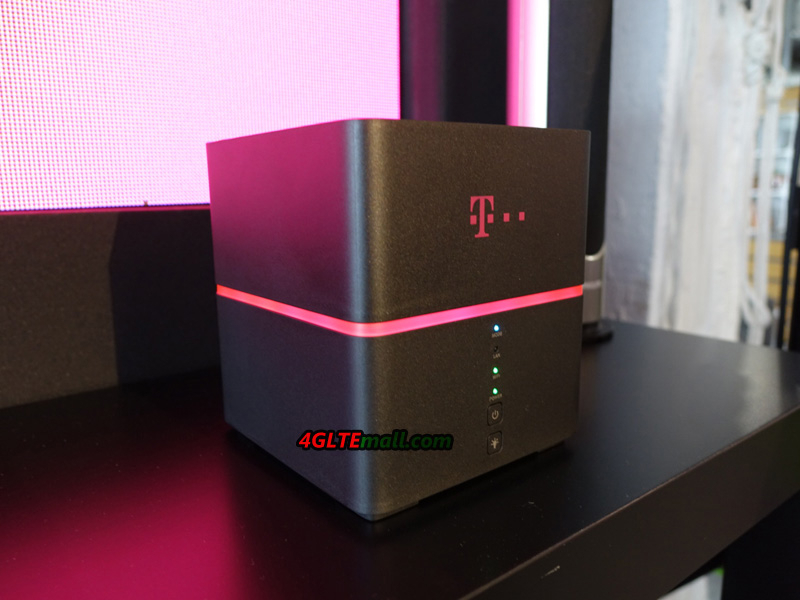 Currently, most of the devices would connect via WiFi rather than Ethernet port. 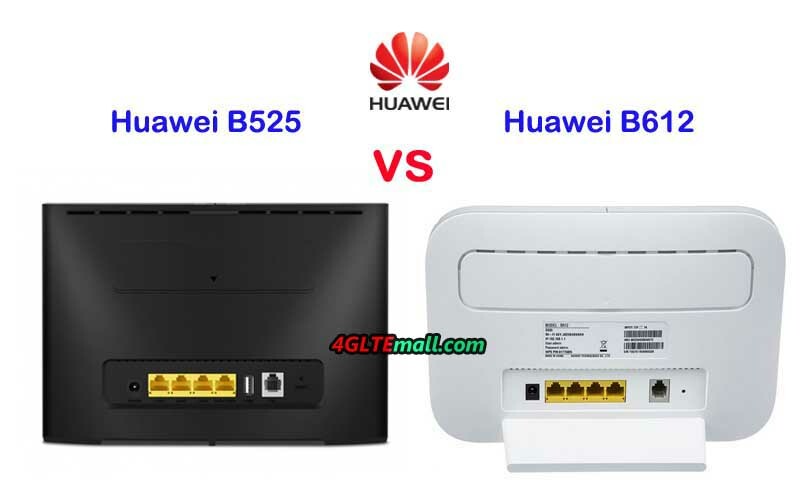 If you prefer to have more Ethernet ports, Huawei B525 may be good. 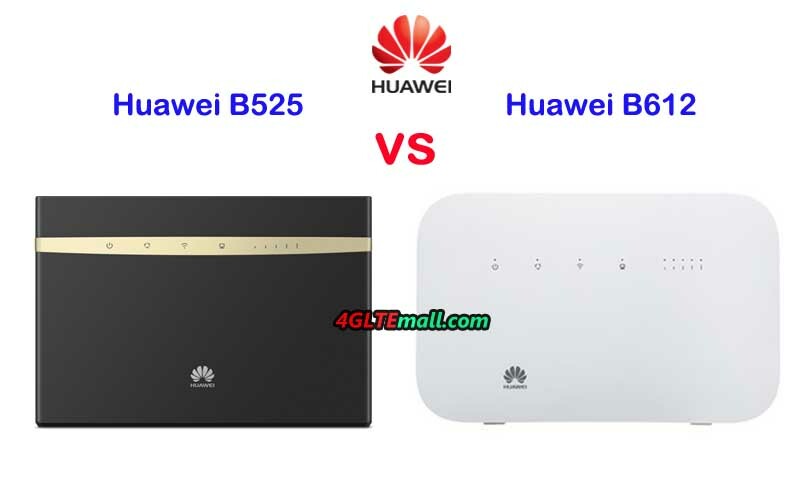 Frankly speaking, Huawei B525 is good enough for our daily life internet demand at home for a family or in office for a small group. As a top and latest new 4G LTE router, Huawei B618 is a future-proof home router. 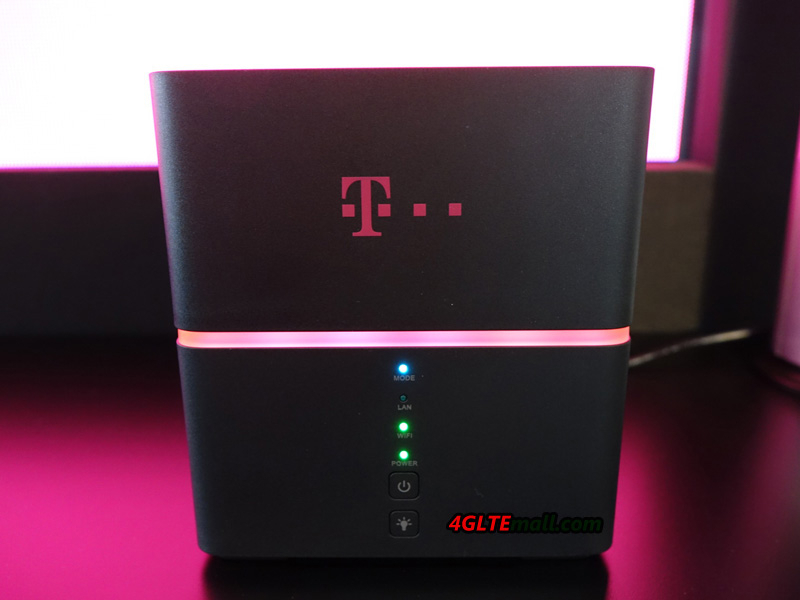 At least, before 5G router comes out, you will never worry about it’s out of date. However, the advanced feature makes it not in cheap price. 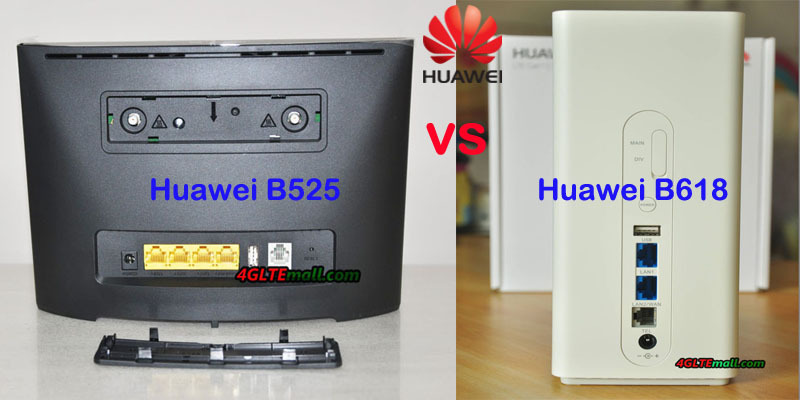 If you want a budget router, Huawei B525 would be better.